This 2B/1BTH Bungalow is in the Troostwood Neighborhood, next to Rockhurst and UMKC. Close to Brookside, the Nelson-Atkins Art Museum, the Country Club Plaza, and the upcoming KC Streetcar extension, this home is incredibly located. Enjoy bungalow life inside and out, as this home features a generous front porch and back deck with fenced yard.Home warranty included. Water/sewer, roof warranties and HVAC service transferable. 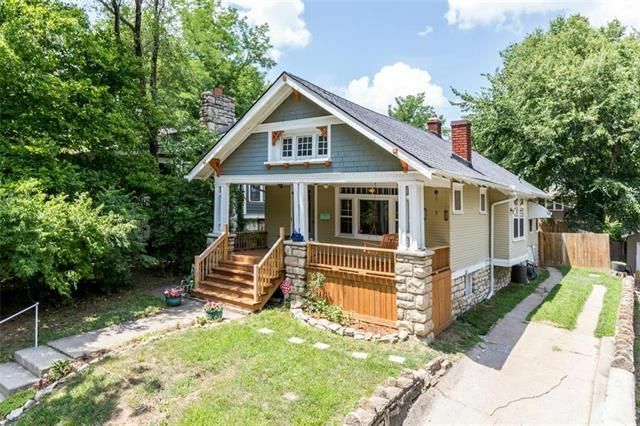 1304 E 49th Ter, Kansas City, MO 64110 is a 3 bedroom, 1 bathroom, 1,094 sqft single-family home built in 1917. 1304 E 49th Ter is located in Eastern 49-63, Kansas City. This property is not currently available for sale. The current Trulia Estimate for 1304 E 49th Ter is $176,476.